A new year is now in full swing, and with it brings new beginnings! Doesn't it feel good to start fresh and have a clean slate at the start of each new year? 2017 was overflowing with more blessings than we can count, most of which included all of you! Our hearts are full thinking of the memories made with our Smith Clinic family over the last year, watching you progress and succeed, giving us purpose and joy in the our journey every day. We are ever so grateful for the opportunity to serve you each day! 2018 is already off to a great start, and we excitedly await many more wonderful memories with you! As always, should you need anything at all, you know where to find us. We are here to help and would love nothing more than to come alongside you in your journey to health! It's fitting that, in the month of Valentine's Day, comes another reason to turn your attention to the heart, as February is also American Heart Month. Did you know that The Center for Disease Control and Prevention (CDC) lists heart disease as the leading cause of death in the U.S., killing even more Americans than cancer? The good news is making small changes to your daily life can improve your health, in turn lowering your chances of heart disease. These changes can include: adding exercise to your routine, quitting smoking (which you should do regardless) and (probably the easiest change to make) improving your diet by incorporating heart-healthy foods. Fish: Fish such as salmon and tuna are high in omega-3 fatty acids that help keep your blood flowing and lower blood pressure and triglyceride levels, which, in turn, lowers your risk of heart disease. Not a fish person? Try taking fish oil supplements instead. Oatmeal: This breakfast staple is high in soluble fiber that helps eliminate "bad" LDL cholesterol from the body. But, be sure to eat whole or rolled oats as opposed to instant oat that can contain high amounts of sugar. Nuts: Walnuts, almonds and cashews are full of healthy fats that can improve cholesterol levels when used in place of saturated fats. Avoid salted varieties, however, as they are high in sodium. Also, consume them in moderation, as they are very calorie dense. Berries: Berries are nature's super fruits. Blackberries, blueberries, strawberries and raspberries are full of rich vitamins, antioxidants, phytonutrients and soluble fiber, all of which help decrease chances of a heart attack. They can also decrease inflammation, which is crucial to one's health and well-being. Potatoes: This food is high in potassium and fiber that lowers blood pressure and the risk of heart disease. Tomatoes: Tomatoes contain lycopene that helps to rid the body of bad cholesterol. Dark chocolate: Make sure you look for dark chocolate made up of at least 70% cocoa. It contains flavonoids called polyphenols that help to reduce blood pressure, inflammation and the chance of clotting. In addition to a healthy lifestyle, another key component to fighting heart disease is awareness. Tell a friend or a family member and get as many people as you can to join the new healthy you! It's proven that, when you team up with a group of people living a healthy life with you, the easier it will be for everyone to maintain this lifestyle by encouraging each other. While you can't change things like age and family history, even modest changes and actions can improve your heart health and lower your risk by as much as 80 percent. By striving for a healthy lifestyle, building awareness and encouraging others, together we can help prevent heart disease. Don't wait until it's too late...start your journey to a healthy heart today! Did you hear?! Congress has enacted a permanent solution to the problematic hard cap on outpatient physical therapy services under Medicare Part B, ending the 20-year cycle of patient uncertainty and wasteful short-term fixes. Caps on physical therapy services were PERMANENTLY REPEALED and signed into law by the President last Friday. A huge THANKS to many of you that called, emailed and reached out to our local government. Your voice has been heard! Should you have any further questions or need further information, please don't hesitate to ask. In the meantime, we look forward to being able to serve you without pause! Patient Spotlight: Michael Graves, Jr. This month we are pleased to feature Michael Graves, Junior, in our Patient Spotlight. A recent knee injury brought Michael to The Smith Clinic, and what a joy it has been getting to know him! A student at Germantown High School, Michael is a native Memphian, and his favorite thing about living in Memphis is the pyramid. In his free time, Michael enjoys playing football and spending time with his family. Speaking of family, after experiencing great success through physical therapy at The Smith Clinic, Michael's father, Michael Graves, Sr., became a patient as well! When asked about his experience at the clinic, Michael stated, "They have treated my father and I with such good care and have helped me get back to doing what I love." In discussing his biggest challenge in doing PT, Michael mentioned staying motivated and continuing to push himself was his biggest hurdle. He also expressed, however, that the process led him to gain more confidence in himself. Michael's favorite part about coming to The Smith Clinic is, "The loving and welcoming of the staff." The admiration is mutual, Michael! We have loved having you and your dad as patients! You are a kind, bright and determined young man. It has been an honor to work alongside you and a thrill to watch you thrive! 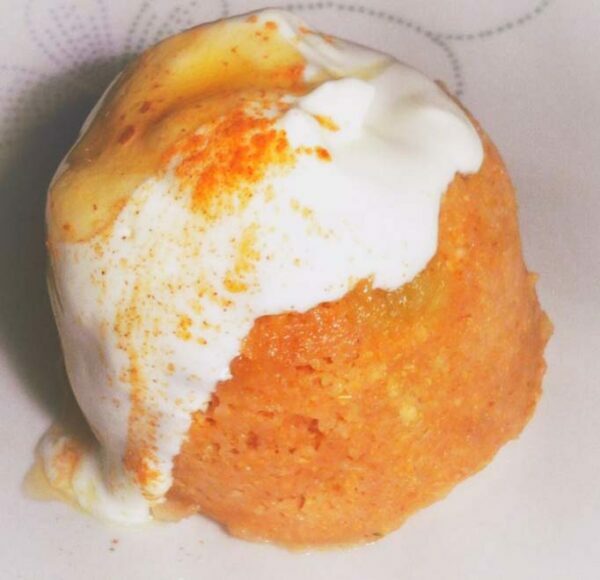 This super quick, healthy and sugar free microwave mug cake will most certainly satisfy your cake cravings without the added guilt. With no refined sugar and unwanted calories, this mug cake won't put a damper on your efforts to stay healthy or loose weight! Put the diced apple in a mug and microwave until soft, about a minute. Add all the rest of the ingredients and mix (if you need to add a little more milk for a nice batter, add a touch more). Cook for 2 minutes in the microwave. Tip out on a plate and top with yoghurt, a little honey and shake of cinnamon.